Reiki is a well-known healing practice, and many believe that it originates from the Buddhist tradition. As we know it today, Reiki is the work of a Shintoist-Buddhist physician and teacher named Mikao Usui. 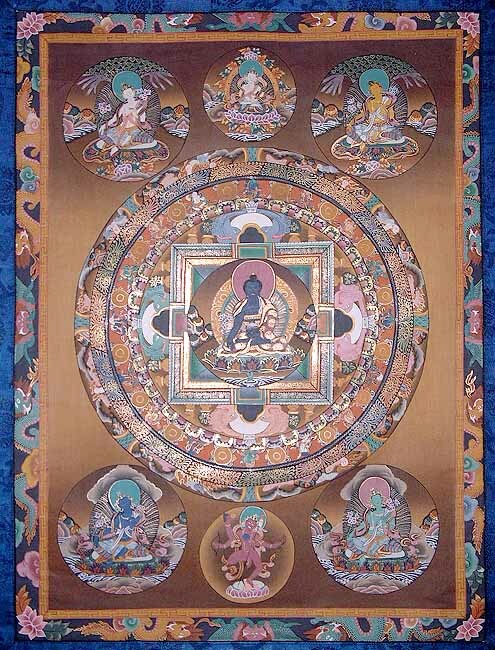 Usui is said to have discovered a Tantra, or Esoteric teaching, originally given by Shakyamuni Buddha on the practice of the Medicine Buddha. Due to visions he had of the various Buddhas, and the guidance of his own spiritual teacher, he fasted and meditated on the practice and received empowerment directly from the Buddhas. He then adapted the teaching so that it could be practiced by anyone who wished, including non-Buddhists. Some believe that Usui transmitted several forms of Reiki-one for non-Buddhists, one for Buddhists, and one for Tantric (Vajrayana) Buddhists. Medicine Buddha's blue sky-colored holy body signifies omniscient wisdom and compassion as vast as limitless space and is particularly associated with healing both mental and physical suffering. Making a connection with him, practicing meditation, reciting his mantra or even just saying his name helps us achieve our potential for ultimate healing. Medicine Buddha Reiki Energies are often used for hands off and remote healing. They also work to increase Compassion and Serenity and are said to accelerate ones progress toward spiritual happiness and wisdom. This powerful system of Reiki imparts the secrets of healing and happiness. 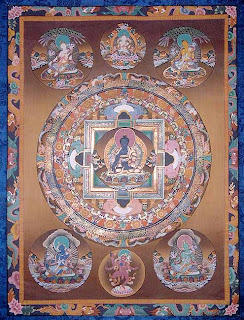 On receiving the attunement you will be directly connected to the Medicine Buddha and his healing energy.